Nachobassman, Hardy, PaulS and 2 others like this. Wow that escalated quickly @RIP. 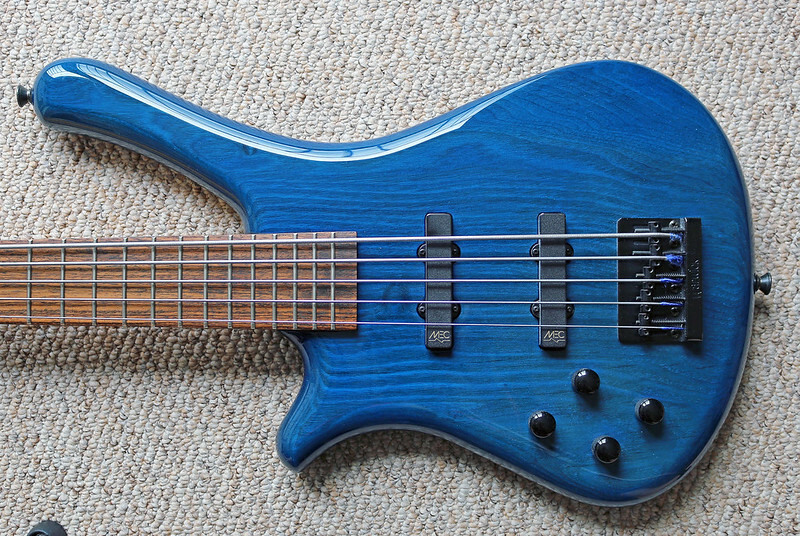 Hey @bluejay , sweet bass, nice colour and awesome wood grain. 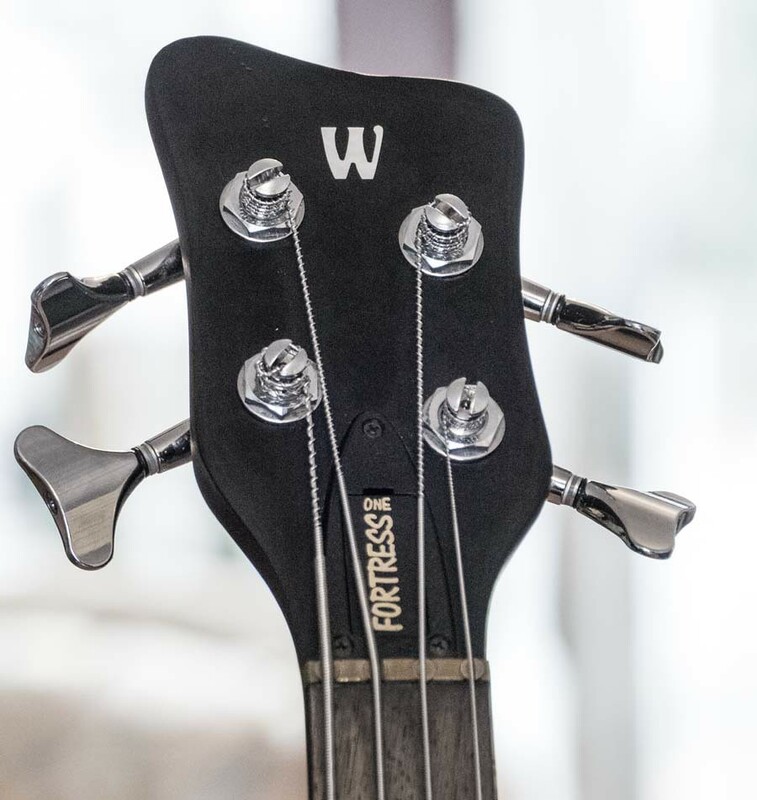 Black hardware is very unusual for RockBass models in practice. Is that a one piece body? I can't tell easily. 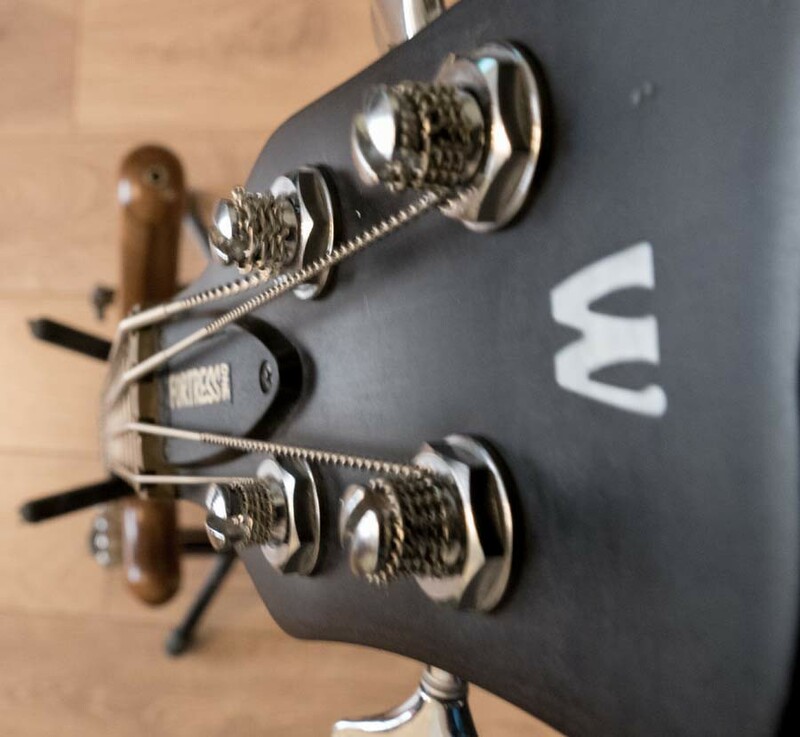 Mind you, setting up the intonation and the saddles' height is a bit of a b*tch to do properly without shining a massive, bright light directly on the spot! But I can live with that. Yes, it's definitely bolt-on - I hate neck-through construction. I meant if the body is one or two pieces of swamp ash. Yes, bolt on means it's one piece. Neck-through has a long neck where two wooden 'wings' are added at the bottom to create the body. @jester - one piece, as far as I can see. 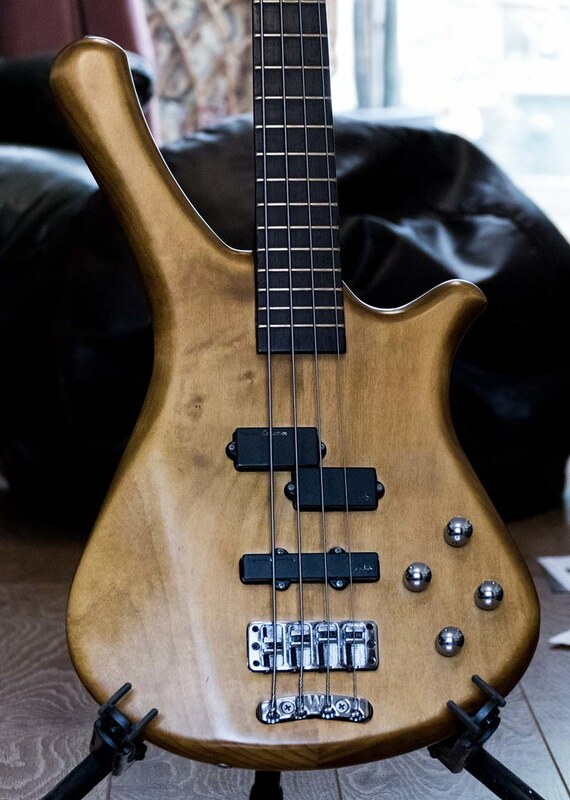 @Toepfer - I don't think it's common to have two-piece bolt-ons, at least in high-end instruments. Mine's a cheapo, so perhaps it looks like it's one piece but it isn't, and they managed to disguise it with the paint and the lacquer! I think it's mostly a matter of cost. On certain occasions you can have a bookmatched body, made of two mirror halves. 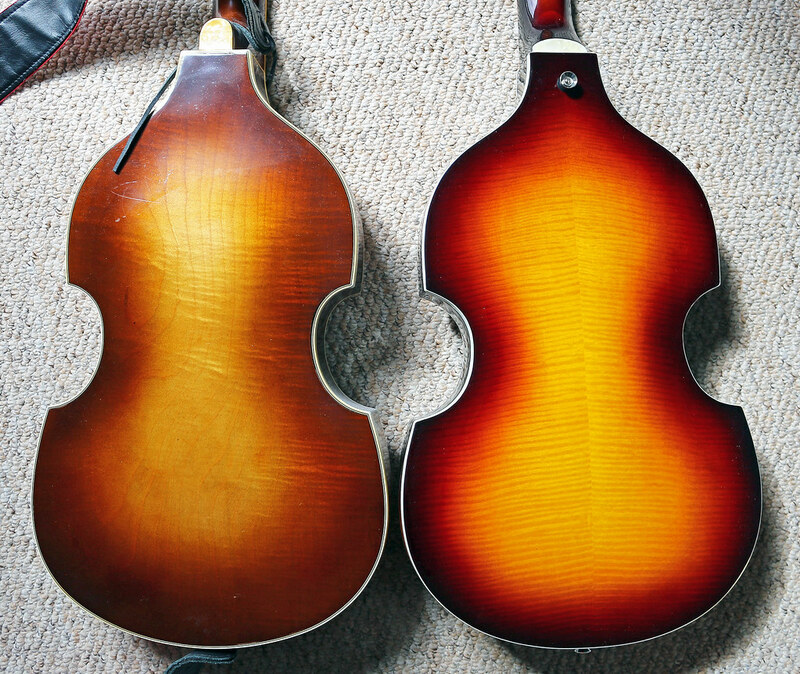 Slightly off topic, but the pic below shows my husband's original 1964 Höfner violin bass on the left, next to my recent, Indonesian-made model. Spot the one piece vs the (not quite perfectly) bookmatched! I don't understand, is the Fortress a one piece or a two piece body? These two sentences seem to conflict. For the record, all my Warwicks are bolt-ons with two or even three piece bodies. I simply meant to say that, as far as I can see, the body of my Fortress is one piece; either that, or the join is very well disguised by the paint and lacquer. 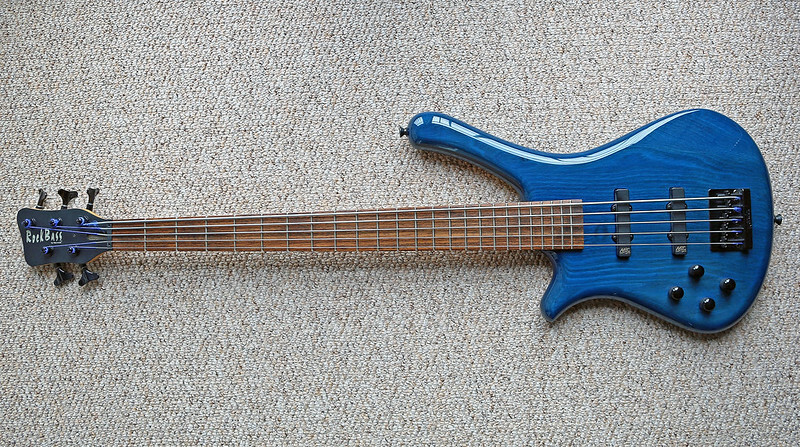 That's very cool and unusual, even more unusual than black hardware on a RockBass. The RB Fortress certainly has something special about it. It did. I knew I didn't like the neck as soon as I picked it up, but I was willing to give it a go. Stainless, Hoggles and RIP like this. Hmnnn how to post pics? Hah I see where the user name comes from now! 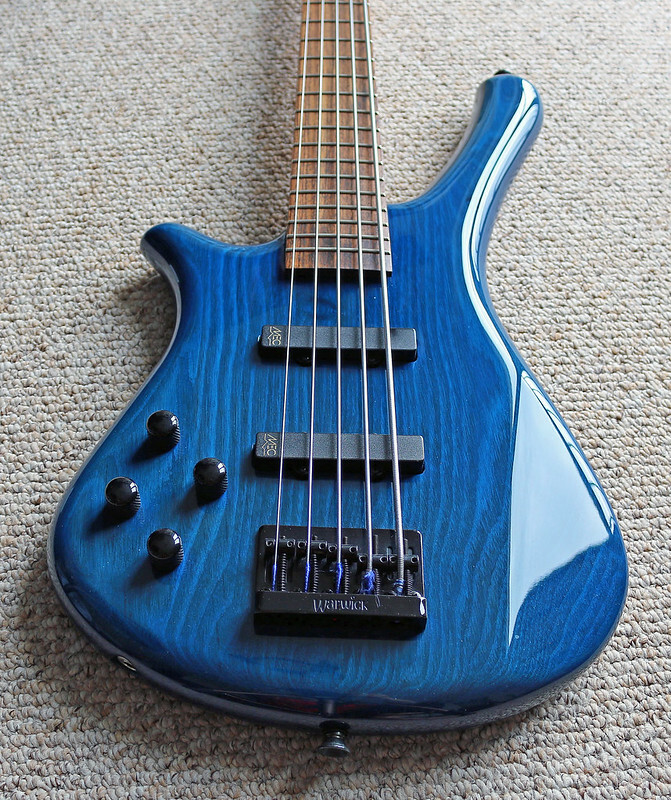 Nice bass.